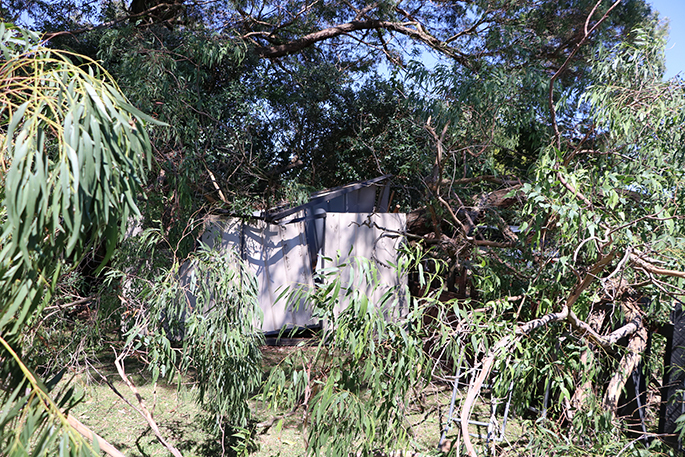 A tree has fallen on to a women’s property in Gate Pa, damaging a car and garden shed. Photos: Daniel Hines. A large tree has toppled on to a woman’s property in Gate Pa, prompting a dispute as to who is responsible. The woman, who did not want to be named, was sound asleep in bed when the sound of the crashing tree woke her at 2.15am on Sunday. The tree landed on her garden shed and car that was parked nearby. 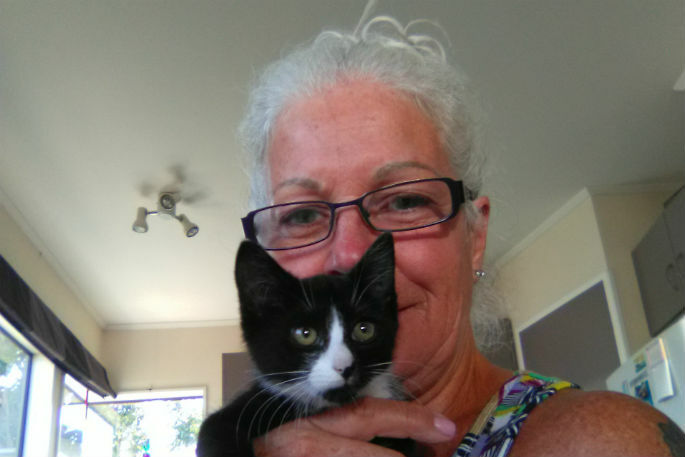 She says Tauranga City Council needs to do something about it, but council claims the tree is not their responsibility as it is on private property. The woman says she has approached council a number of times about the tree. “This has been reported to the council over a couple of years ago when another branch came down." She says someone from the council came down on Wednesday to have a look at the tree. “Anyway, I phoned up the council and they said ‘oh we’re only open Monday to Friday’. “This needs to be fixed. “They know it’s an issue but they reckon it’s not their responsibility. They need to come back, they need to sort it out, and it needs to have action done straight away. “Little kids could’ve been playing or whatever, it’s dangerous." The woman’s neighbour was also woken up in the early hours of Sunday morning by the tree fall. “We heard a loud crash. We thought it was a car hitting something. We come out here and the car did hit something, it was my friend’s car and the tree had fallen down. 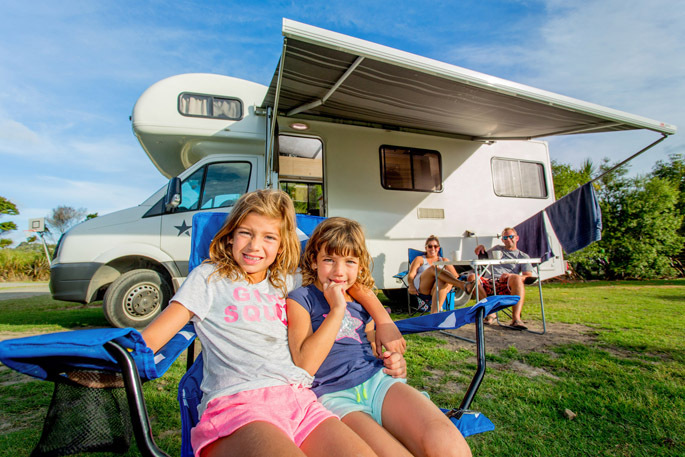 “Lucky it was two in the morning and not 3pm, where three or four kids were playing around on their bikes. Like the woman whose garden shed was damaged, her neighbour has enquired about the issue to the council and “they claimed that there is nothing they can do about the tree as it is on private property”. “We’ve asked the council a few times to trim the trees down and evidently it’s private. 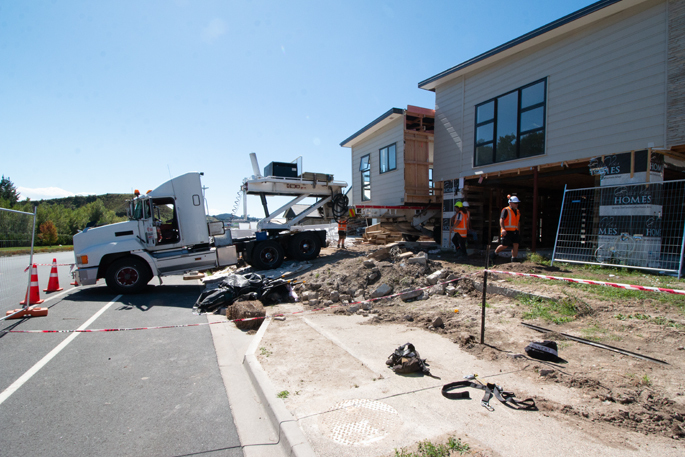 “We’ve been here for over 20 years and we keep telling them it’s going to hit the power poles and it’s going to do this, and there’s never any action on it, but hopefully something will happen now. 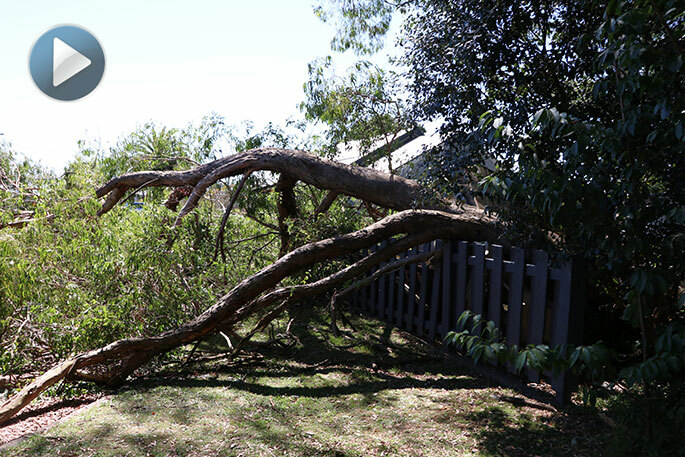 SunLive has approached the Tauranga City Council for comment on the tree fall in Gate Pa. The owner of the property on which the tree is located surely is responsible for the tree. 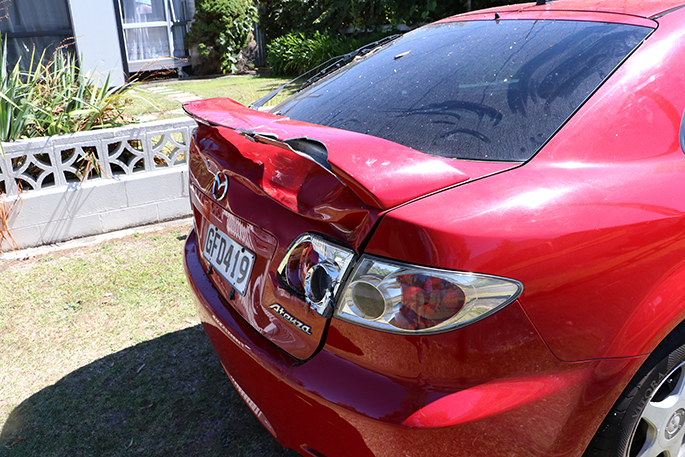 the woman who has suffered damage has rights to seek compensation from the owner of the tree. I fail to understand why anyone would think that TCC has any responsibility whatsoever. Why is it so hard to understand that your property is your responsibility, including all trees. Could have called an arborist years ago. Would you ask Council to mow your lawns too? I dont think so. Maybe we should just cut down all trees now so that there is not a risk of this happening in the future?